This semester, Falvey Memorial Library presented a fall workshop series on Digital Humanities, organized by Laura Bang. Laura works in Special and Digital Collections and she is actively involved in the Philadelphia Digital Humanities community. The fantastically informative workshops provided an introduction to DH techniques and applications and took place in Falvey on various Saturdays from 9AM to noon. Since we were provided with tons and tons of resources, I’d be glad to share some with you! 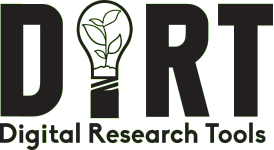 For an overview of the individual workshops and the projects/softwares explored, keep scrolling. Our five-session workshop began with an introductory lecture by Mitch Fraas, the Schoenberg Scholar-in-Residence at the University of Pennsylvania Libraries. As you might guess, we talked about the most popular question on the block: what are digital humanities? As this intro lecture proved, the best way to figure it out is to jump into one of the many projects you can find online. Definition by application! Fraas provided tons of resources; here are some excellent places to start. http://dirtdirectory.org *Reading about these tools will really give you a good sense of the applications of DH. The second workshop was a fun and approachable introduction to coding by Kate Lynch. We used Processing, which is not only a programming language, but also a development environment with an enormous online community. The software is free to download and open source. The Processing site is loaded with beginner tutorials. I pointillized ‘Lil Bub! On the left behind the kitty, you can see the Processing window and code. Workshop number three covered basic audio editing. 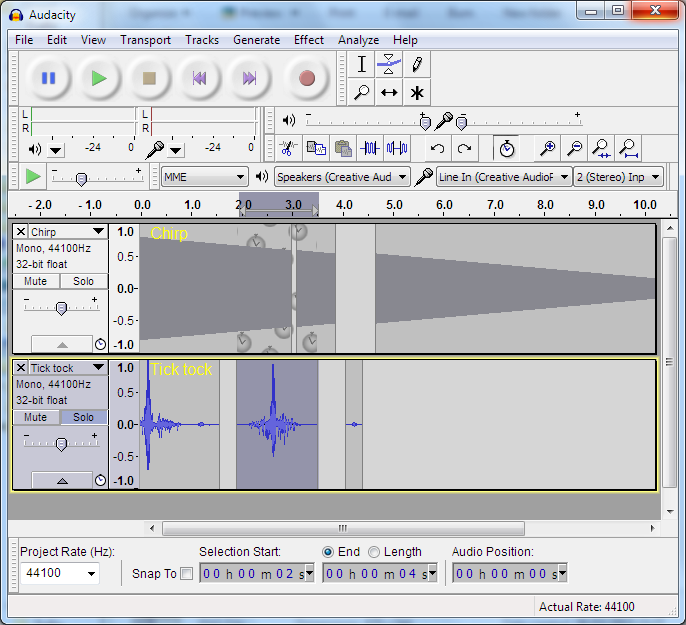 We played around with Audacity, a free, open source audio recording and editing software. You can download it right from the Audacity page. You can find plenty of royalty free sounds and tracks on the web for your projects on websites like freesound.org. The Audacity page also has plenty of tutorials, but I find YouTube tutorials are the most helpful for software training. Search “Audacity” and you are sure to find hundreds! To get started with the WordPress software you’ll need a web host, but the software itself is free and open source. The fifth and final workshop introduced basic data mapping and visualization. 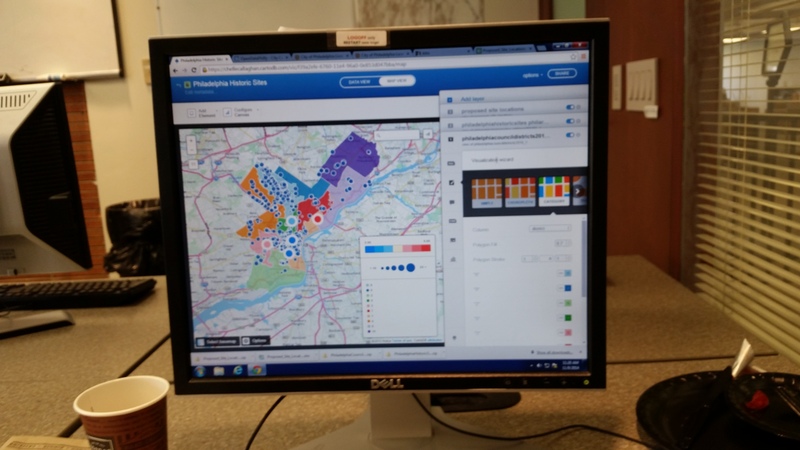 Using CartoDB and openly available data sets from OpenDataPhilly, we learned how to import and create tables and how to customize maps based on those tables. For more information on OpenDataPhilly, visit the About Us page.